UK, Swiss, Canada, France and U.S. We’ve already informed you about the most reliable unlocking service for the carriers based in these countries, and today, we’ve good news for everyone. The service that we support is now unlocking Australian carriers permanently. The names include Vodafone Australia, Telstra, and Optus. The iPhones that can be unlocked include iPhone X, 8, 7, 6S, 6, SE, 5S, 5C, 5, 4S and 4. This is a one hour unlock solution that’s done via IMEI code. Barred / Blocked handsets are also eligible for permanent factory unlocking. If you bought an iPhone X, 8, 7, 6S, 6, SE, 5S, 5C, 4, 4S or 5 that’s locked to the carriers like Optus, Vodafone or Telstra Australia, we are here to help you device the best permanent unlock service that includes the process of IMEI registration in Apple’s database. After the handset has gone through the process, it’s never going to be locked again and you’ll be able to use it on any carrier in the world on any SIM card, as long as the country you’re in supports a GSM carrier. The IMEI will be registered as ‘unlocked’ in the database. It’s a simple process that requires the user to connect to iTunes. The user doesn’t have to be a technical jargon. It’s completely legal and doesn’t require a jailbreak. You can update to iOS 12 and beyond without any worries of updating baseband. No more hardware unlocks required. Unlock is going to be compatible with all future basebands and iOS versions. Witch Devices and IOS firmwares Can be Unlocked With This Service? The service can be used to unlock barred, in-contract, replaced or any other Australian iPhone that’s locked to Optus, Telstra and Vodafone carrier on all firmwares including iOS 11, 10, 9, 8, 7, 6.1, 6.1.1 and iOS 6.1.2 on all basebands (new or old). There isn’t even any need to perform a jailbreak. To get this done, you first need to submit the IMEI number from your iPhone in the order page. The IMEI is a 15 digit number that can be located by going to Settings -> General -> About. You’re going to receive an e-mail after the process is done, and the time frame is ONLY 1 hour. The e-mail will guide you further through the process. 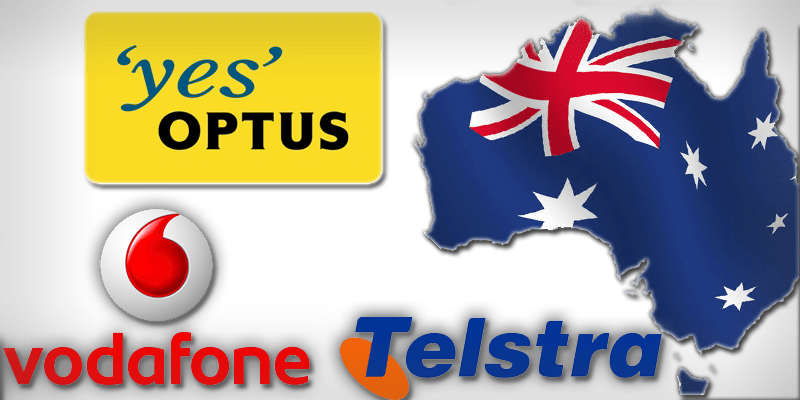 There are many services that claim to unlock Australian handsets. However, our recommendation is the most reliable and the most cost-friendly. They can unlock Telstra, Vodafone and Optus in Australia as well as other famous carriers in the world. To visit the legit solution, click here.